“Reason being that operational safety risks to an operation are typically greater during equipment servicing and maintenance” says Lange. Prior to inspecting equipment, to determine if any additional servicing is required before filing components with the new oil, a routine oil change which can be a fairly straightforward process for ground-based equipment, becomes much more complex for wind turbine equipment as maintenance teams must ascend the tower, at times to elevations as high as 121.92 meters. This is not easily achieved, which is why one of the most effective opportunities to enhance the safety of a wind turbine operation is by reducing human-machine interaction (HMI), or the frequency which maintenance personnel interact with wind turbine equipment. Reducing HMIs requires having a robust lubrication programme that prevents unnecessary downtime and extends the service intervals of wind turbine equipment. 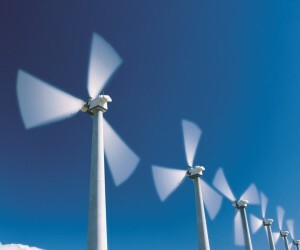 The success of any wind turbine operation depends on using the right lubricants. 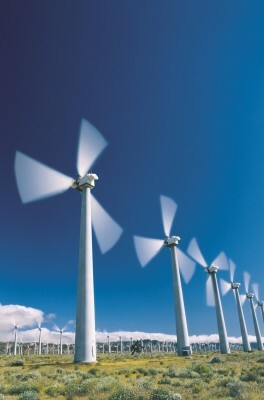 Wind turbine components operate under severe conditions – including heavy loads, and vibration and varying speeds. To ensure the best possible equipment protection, high performance, and synthetic lubricants can be specifically formulated to perform in these conditions. Viscosity – This is the most important characteristic of an oil, particularly for wind turbine lubricants. A lubricant’s viscosity indicates its resistance to flow – or the thickness of the film layer it produces to prevent contact between surface metals. Viscosity Index – A lubricant’s viscosity index measures the change in that lubricant’s viscosity due to alterations in temperature. Synthetic lubricants possess better viscosity indexes than their mineral-based counterparts, meaning their viscosity remains more stable and continues to function properly when exposed to extreme ranges of hot and cold temperatures. Oxidation Stability – Measures a lubricant’s ability to withstand oxidation. Oxidation typically creates sludge and results in component wear and corrosion, and the rate of oxidation is dependent on both the rise in temperature and the amount of contaminants in a system. Synthetic oils include additives that can reduce deposit formation caused by oxidation, which extends oil life and slows down component degradation. There is no better way to monitor the health of your equipment than through used oil analysis. This service helps you better understand how your equipment is performing and identify potential pain points. Armed with that information, you can then tailor your maintenance programme to get more out of your equipment and prevent unplanned downtime. Advanced oil analysis platforms can provide even more helpful insights. They can help identify high-level trends not typically seen when viewing individual sample reports, including, and they can also provide documentation to validate used oil analysis results. Your lubricant supplier can help you make the right decisions to ensure your programme works for you, as it can leverage decades of experience working with equipment builders and developing new technologies to help you identify the best solutions to fit the needs of your specific equipment. Improper storage and handling of lubricants is another important consideration, as it can significantly reduce a lubricant’s effectiveness and even turn safe lubricants into potentially hazardous waste. Optimising your lubrication programme is typically used to drive productivity, it can also meaningfully enhance the safety of your operation. ExxonMobil South Africa has introduced Mobil SHC™ Grease 102WT, a synthetic wind turbine grease that can protect pitch, yaw and generator bearings from extreme temperature conditions as high as 120 degrees Celsius to as low as minus 50 degrees Celsius. “Extreme cold temperatures commonly occur in many places that also have high wind energy potential,” says Lange. “In places like northern Asia, Scandinavia, the northern United States and Canada, high wind conditions make protecting wind turbine equipment challenging.” “With Mobil SHC™ Grease 102WT operators can keep turbines running in these extreme conditions, helping them decrease downtime and reduce maintenance costs,” says Lange.